Despite the heroic performance in the opening match against the Thailand, India could not qualify for the round of 16. The Blue Tigers finished at the bottom of Group A with 3 points in 3 matches. But the Indian players can keep their heads high solely because of the way they played in this AFC Asian Cup 2019. They outclassed Thailand in the first match and then gave UAE a run for their money. Let us now look at the 3 Indian players who were on the top of their game in this tournament. 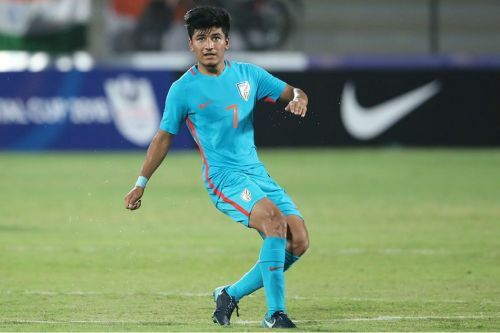 Anirudh Thapa, who was born in Dehradun, first burst onto the scene in the 2017-18 season of the Indian Super League, where he scored 2 goals and got an assist to his name. The midfielder plays for Chennaiyin FC in the ISL. Since the 2017-18 season of the ISL, he has never looked back and has improved drastically as a player. 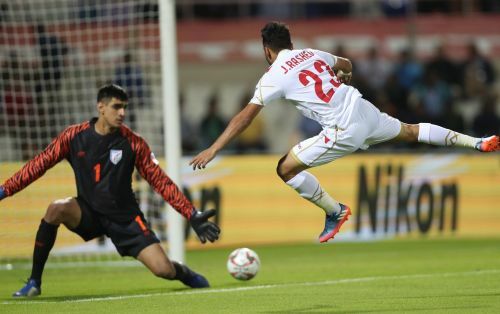 In the AFC Asian Cup 2019, he scored a beautiful goal by dodging past 2 defenders and then allowed the goalkeeper to come to him and eventually chipped the ball into the empty net. With his amazing dribbling skills and pace on the ball, he will be vital for India in the future. The winger, who hails from Malappuram, did quite well in his new position as the striker during the Asian Cup. From the left wing, he also played Chhetri some important passes into the centre of the box. He played a crucial role in the opening match, where he also has an assist to his name. Like Thapa, he has pace on the ball and can really punish the opponent if he gets some space. He plays for FC Pune City in the ISL. In the 2018-19 season, he has a goal and an assist. He is not a new face anymore in the Indian squad. 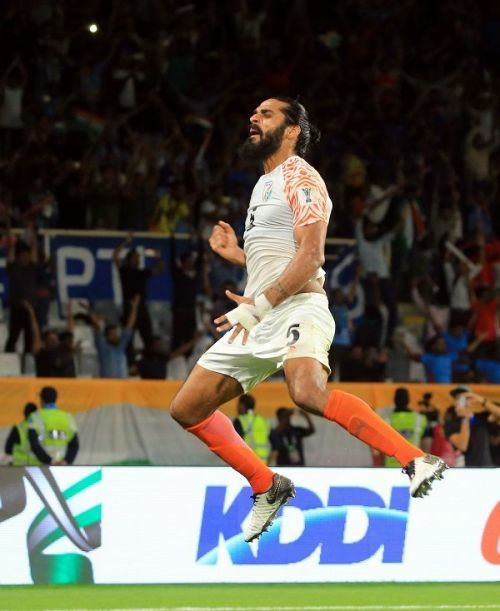 Sandesh Jhingan, who plays as a defender, hails from Chandigarh. He is arguably the best defender India has ever produced. With his height, he proves to be a nightmare for the strikers on the field. He has also captained India and his record speaks for itself. He moves up the field for the corner kicks and has scored a couple of goals that way. He plays for Kerala Blasters in the ISL and has an assist in the 2018-19 season. 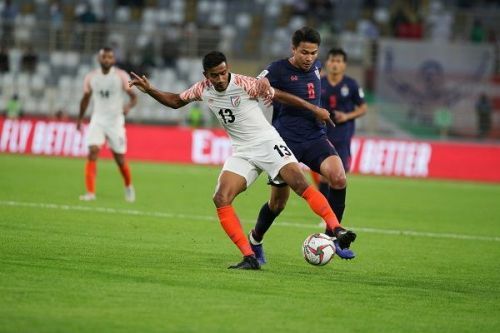 AFC Asian Cup 2019: So Close Yet So Far - Another Dead End For Indian Football?